Jazzman Joe Lovano is at the top of his game, juggling a teaching gig at the Berklee College of Music with a full-throttle performing and recording career. 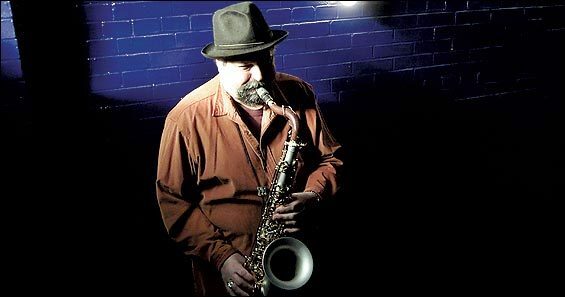 Joe Lovano, in a dark-blue corduroy shirt and black pants, hatless for a change, stands in the bowels of a Berklee College of Music building off Massachusetts Avenue casually assembling his silver-toned tenor saxophone. His weekly 2 o'clock ensemble class is about to get underway, and he asks the student nearest him — a 23-year-old British pianist named Oli Rockberger, who sits noodling at some Keith Jarrett-influenced riffs on the practice-room piano — whether he has brought any music with him for the class to play. Rockberger tells him he hasn't. Wrong answer. "If you didn't, and he didn't, and he didn't," Lovano teases him, nodding around the room, "then you've got to play something I want to play." That's fine with Rockberger, who explains that what he's just been playing is something he sings with his trio, and that there are no horn parts for it. It's too poppy, that is, and not particularly appropriate for an ensemble of this class's size and type — guitar, piano, bass, drums, and two saxes besides Lovano's. Lovano isn't buying it. A large man with a dark, bushy Vandyke, Lovano could look menacing if he weren't so naturally genial. He won't drop the point he is making to Rockberger. A musician needs to be able to tell his sidemen how he wants a song played when he lands a gig, Lovano tells him, and nowadays a successful jazz musician needs to be able to take on work in a variety of contexts. "This," concludes Lovano, friendly but firm, "is where to explore all that." Lovano finishes assembling his horn and closes the door to begin class. As he does so, he bends and speaks quietly to an observer. "Did you hear some of the stuff I was saying?" he asks. "That's the whole class right there." He straightens up and passes out copies of a composition of his own, "The Dawn of Time," then moves to a spot toward the center of the room where all six students can see him easily. "I'll play the theme once," he tells them as he starts counting off the tune, "and then you cats play it the second time." If there is anyone who understands what is required to forge a career in jazz these days, it is Joe Lovano. The jazz life has changed considerably since his father's day. Lovano was born on December 29, 1952, to a tenor saxophonist father, Tony Lovano, who owned a Cleveland barbershop where he cut hair by day. At night, "Big T" would lead small combos in clubs around town, and by the time Joe was in his early teens, his dad was bringing him along to watch and learn — and often sit in on a couple of numbers toward closing time. The style of jazz Tony Lovano loved best — bebop — was born in New York City as World War II was ending. In those days, any American city of any size had several clubs where jazz was played and where musicians learned to play it on the bandstand. By the mid-1960s, when Joe Lovano was coming up, television and rock music had killed off much of the jazz-club scene. Musicians were learning jazz less and less via jam sessions and touring bands. Instead, they were learning it in collegiate jazz programs around the country, the better ones with a sprinkling of bona fide jazz veterans on their faculties. Two of the very best, then as now, were in Boston: at the Berklee College of Music and the New England Conservatory. Lovano bridges the old way of learning jazz and the new. He attended Berklee as a student himself for a couple of semesters, beginning in the fall of 1971, but moved back to Cleveland in early 1973 and began accepting work with the Detroit-based organ trios of Lonnie Smith and Brother Jack McDuff. He moved to Manhattan in 1976, and by year's end was touring with Woody Herman's Thundering Herd. Lovano stayed on the road with the swing great until 1979 and then spent the 1980s playing in a wide variety of big bands and small combos around New York City. It wasn't until 1992 that he began cranking out a CD a year under his own name for Blue Note Records, and his career took off quickly afterward. Over the next four years, Lovano accumulated the first four of his six Grammy nominations and was voted Jazz Artist of the Year in 1995 and 1996 in Down Beat magazine. Lovano spent the past decade busy in an extraordinary range of settings. He led bands ranging in size from pianoless trios to his Grammy-winning cool-school nonet to an orchestra featuring commissioned work by Newton-based composer and arranger Gunther Schuller. He even recorded well-received tributes to two other great Italian tenors, Frank Sinatra and Enrico Caruso. Lovano disdains being pigeonholed in any particular style of jazz. "I don't consider them different styles," he explains. "I'm always being myself. I'm not shifting gears and saying, 'Oh, now this is bebop,' or 'Now this is free.' It's about playing with feeling at the moment. I'm trying to be as creative as possible within the situation and to be free on my instrument so I can fit in in different situations. Like an artist using different colors instead of just drawing with a pencil." Three years ago, Berklee announced that Lovano, with his career still very much in full throttle, would be joining its faculty as the first occupant of the newly endowed Gary Burton chair in jazz improvisation. "It was a natural thing to pick Joe," says Burton, who will retire as Berklee's executive vice president at the end of this academic year. A five-time Grammy winner as a vibraphonist, Burton knew that juggling an active career with full-time teaching was doable for someone committed enough. Lovano is. He teaches three two-hour classes each Monday throughout the school year. He typically drives up Sunday evenings from the house near Newburgh, New York, that he shares with his wife of 19 years and sometime collaborator, soprano Judi Silvano. He teaches all day and drives home to the Hudson Valley after his final class ends at 6. The first Monday of November is more hectic than most. When the 2 o'clock ensemble's bassist, Garth Stevenson, passes around an original composition to rehearse, Lovano pulls on some reading glasses and studies the music — noting aloud that he'd learned to do so the hard way, when people like McCoy Tyner would hand him charts with unexpected key changes. He again tells the students that he will play the first chorus and have the other horns come in on the next. When they do so, their playing is far too tentative and tepid to pass muster. "Where were you?" Lovano shouts, calling the first run-through to a halt and then launching the class on another try. His 4 o'clock ensemble focuses on standards, including a pair by Thelonious Monk. On these two, the emphasis is on getting the horns to play Monk's tricky melodies in tight unison. But Lovano doesn't ignore the rhythm section. At one point he actually takes over on drums, squeezing himself behind the kit and playing some very credible rolls. The idea is to demonstrate what he means when he says the rhythm section should "dance together" under the melody. "He uses that phrase a lot," explains bassist Esperanza Spalding, a 19-year-old scholarship student from Portland, Oregon. "Especially in the rhythm section, he wants us to reach out and have that connection — not just memorize your steps in the role." Spalding and a couple of other students play with Lovano that night at a special session that the Berklee administration puts on to shoot promotional photographs of Lovano. Afterward, Lovano drives to Cambridge to sit in on a session his buddy George Garzone is recording with his trio, The Fringe, at the Central Square gallery Zeitgeist. 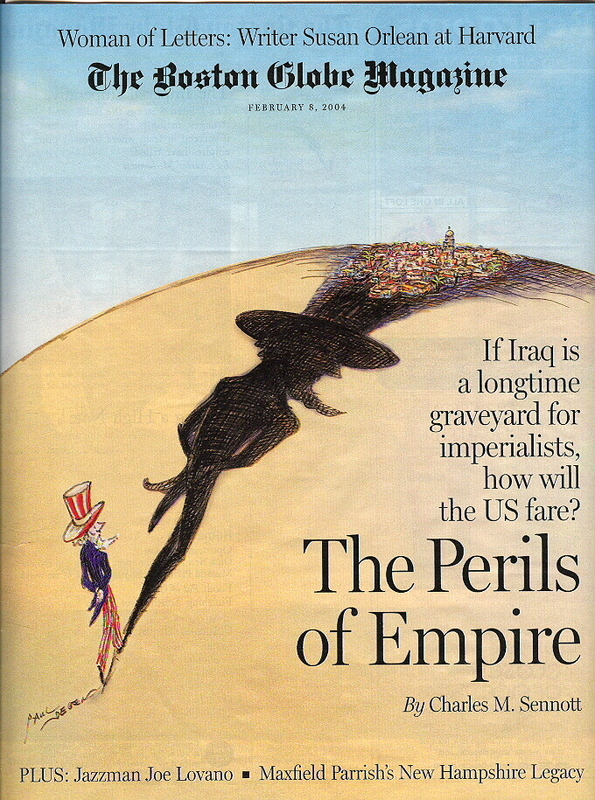 Lovano drives back home to New York that same night, pulling up to his house around 4 a.m. Tuesday. Midafternoon on Thursday, Lovano is at the midtown Manhattan jazz club Birdland, rehearsing for four nights of performances with a quartet he has put together with Dewey Redman. Lovano and Redman, 71, sit at a cocktail table. Lovano is teaching his composition "Fort Worth" to Redman, and the two play it together on their tenors. 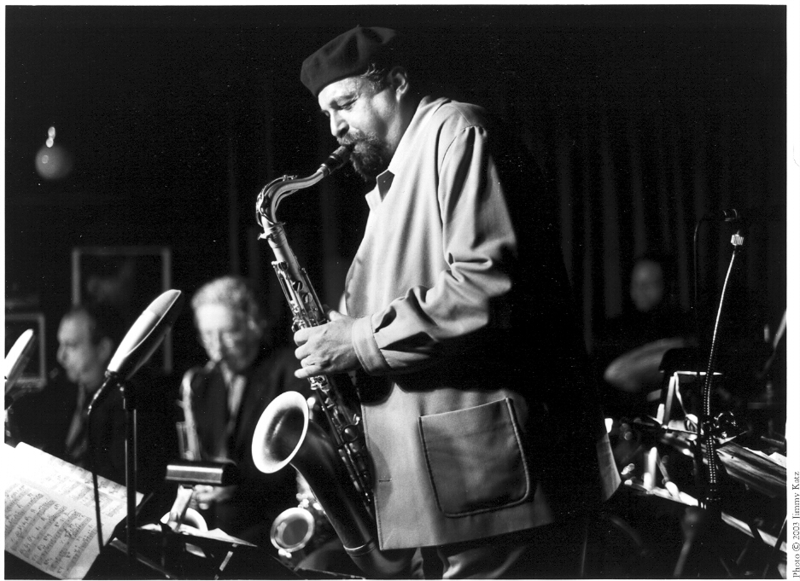 The tune, which Lovano has recorded on two of his finest CDs, was written in homage to Redman and his fellow Fort Worth, Texas, native Ornette Coleman. Bassist Dwayne Burno, a 33-year-old Berklee alumnus, stands nearby scanning sheet music and nursing a bad cold. Drummer Idris Muhammad, a veteran of both pop (as a teenager, he played on Fats Domino's "Blueberry Hill") and jazz, is just back from Japan. He's grousing to the club's sound man about a borrowed tom-tom that's been beaten all to hell and sending him off to look for a replacement. Eventually, the musicians gather onstage and run through snippets of some of the music the quartet will be playing that night. Afterward, Redman — father of Harvard-educated saxophone star Joshua Redman, who jammed with Berklee College students in his spare time during his undergraduate years — returns to the cocktail table and chats a bit about Lovano and how jazz education has changed over the years. In Dewey Redman's day, nobody studied jazz in the classroom. "I learned how to play along with Ornette out on the streets in jam sessions," he explains. "They don't have jam sessions anymore. The scene is different. They have jazz programs at schools now: There's North Texas, New England Conservatory, Berklee, William Paterson in New Jersey. " He praises Lovano as a great artist and a beautiful person and laughs when asked if he thinks Lovano considers him a mentor. "Well, me among others," he replies. "You'd have to ask Joe that." Minutes later, over a pre-show meal at an Indian restaurant up the block from Birdland, Lovano provides a sort of answer. "The first time I heard Dewey Redman play live," he says, "it was in Boston. I think it was 1972. He was playing with Keith Jarrett, Charlie Haden, and Paul Motian. I was going to Berklee at the time, just out of high school, and man, it was such an incredible quartet — the way they played together, and the communication, and the free-flowing music. They really created music on those dates. Those were the cats I wanted to play with. It gave me a lot of direction in those years, in the '70s, about trying to develop a concept that was free-flowing yet harmonically and rhythmically and melodically based. " As he works through his meal of mulligatawny and squid curry, Lovano offers postmortems on some of what went on at school that Monday. The weak way the student horn players came in behind Lovano on the bass player's tune in the first ensemble class, for instance. "I was playing a melody at a certain volume and a certain energy that gave the rhythm section direction," he recalls, "and when I came to the end of that chorus, they came in like I hadn't played a thing. Very weak in their sound and their rhythm and in their whole attitude about the music they were playing. And that's a big part of playing together: being able to generate and react to each other's energy and volume and sound and dynamics." Fifty years ago, such lessons were learned on bandstands. "Back then," notes Lovano, "my dad's generation, you stood toe to toe with cats. And that's the best way. A lot of the players who came up playing in bands, that was the key factor — playing at the level of the cat sitting next to you. "That's why I play a lot in my ensemble classes. Not only exploring the tune we're playing, but just the attitude behind your sound and the presence that you can create. You're always trying to hip each other to new ways of playing and to do it without talking too much. Just doing it by example." The students could have seen a prime example of how well a quartet can interact that night at Birdland. Redman took a particularly earthy solo on "Fort Worth" that brought a look of almost childlike excitement to Lovano's face, and when Lovano's turn came, he switched to his new baritone sax and responded with something similarly bluesy and deep. Lovano played Monk's "Pannonica" as a ballad during the first set, and the group worked its way through free-spirited renditions of Lovano's "On This Day" and Redman's new "Walls-Bridges." Between tunes, Lovano's eyes would widen meaningfully as he nodded his appreciation toward his colleagues. Back at Berklee the following Monday, Lovano makes a similar expression during the break between his afternoon classes. He still hasn't entirely come down from his long weekend at Birdland. "That was something special, man," he says, shaking his head in wonderment. "I've really got to get those cats into the studio sometime soon." Bill Beuttler teaches feature writing at Boston University.